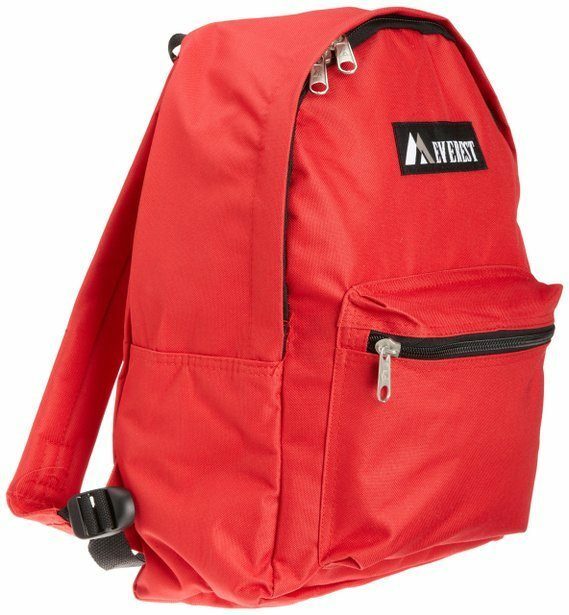 Everest Luggage Basic Backpack Only $9.39! You are here: Home / Great Deals / Amazon Deals / Everest Luggage Basic Backpack Only $9.39! Amazon has the Everest Luggage Basic Backpack for Only $9.39! This is a terrific basic backpack that will last! Perfect for a day pack as well! Good reviews! A mid-sized backpack with a spacious main compartment available in a multitude of colors to fit your personal style. High quality 600D Polyester, professionally weaved seams offer long-lasting use.